On Monday a closely divided Supreme Court issued another important criminal law decision on 5-4 lines. 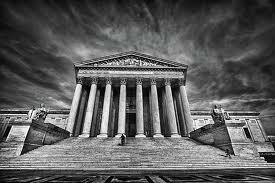 This time the Court held that the Constitution is violated when courts rely on current federal sentencing guidelines if those current guidelines call for harsher punishment than the ones in place at the time the offense was committed. The issue before the Court was whether the current federal sentencing guidelines, which are technically discretionary, carry enough weight--regardless of not being mandatory--to subject defendants to the risk of additional punishment. If so, this would violate the ex post facto clause in the Constitution which prohibits enhanced retroactive punishment. The case before the Court, Peugh v. U.S., concerned a man who was convicted of bank fraud. By the time he was sentenced in 2010, the trial judge noted that the guidelines that were currently in place suggested a sentencing range of between 70 and 87 months, the judge chose 70. The problem is that at the time the crimes were committed, the sentencing range under the guidelines was only 30 to 37 months. The change exposed the defendant to a potentially increased punishment. Justice Sotomayor noted that the low end of the 2009 sentencing guidelines was still 33 months higher than the highest number contained in the 1998 guidelines. Sotomayor said that the guidelines are still seen as influential despite no longer being mandatory. The guidelines act as a starting point and judges often have to go to extreme lengths to justify any departure from the guidelines, something that acts to dissuade such sentencing departures. Four fifths of all sentences given in federal court are within the guideline range. Given this, Sotomayor said that the ex post facto clause of the Constitution was violated in Peugh’s case because the new sentencing laws created a risk of additional retroactive punishment. The dissent in the case disagreed and Justice Thomas wrote that because the new guidelines have been called advisory and not mandatory, they cannot possible constrain the discretion of a district court. Thomas said that, as a result, there could be no violation of the ex post facto clause. Read: “Harsher Sentencing Guidelines Can’t Be Used for Old Offenses, Justices Say,” by Adam Liptak, published at NYTimes.com.